Music, Action songs, Dances, Group Games, Magic, Face Painting and Balloon Twisting lead by Professional Family Entertainer that dresses in theme costumes. ex: (link hidden), ring master, fairy godmother, referee, pirate or any other character. We hired this company to do songs & games for a camp out themed party for our 8 year old son. The entertainers got stuck in traffic and were late. Since the party was a sleepover, it didn't really matter but if it had been a normal party, 30-45 minutes late could have been a problem. The people were very nice but had a hard time controlling 12 boys who were full of sugar. Overall, the kids had fun. The only other thing is that I think the company is now operating under a different name. 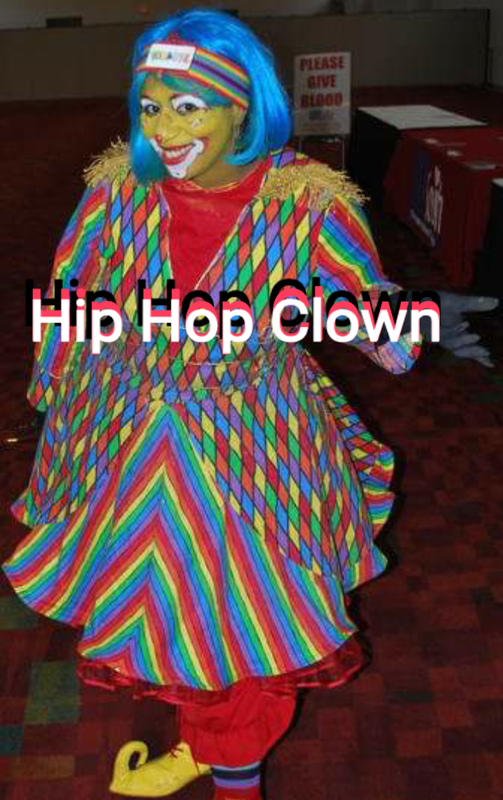 Hip Hop ClownKidazzle is who I hired, but the company that showed up was Hype101 - not sure if the company is under new ownership or if it's the same people. Recent review: Thank you, Tony! He was the hit of the party! So professional and kind, not to mention talented!